Super easy smoked chicken thigh recipe. A quick brine and then about an hour and a half cook and you will have some delicious chicken. I hope you give this recipe a try! This is a great way to use up some garlic scapes. This dip packs a bit of spice with it....so I have been told. Omit the cayenne for a milder dip. Pretty much any type of garlic and onion combination will do really well with this recipe. Roast garlic scapes and shallots over indirect heat for about 20 minutes. Chop up and add sour cream and spices. Mix well and refrigerate over night - 2 days is best. This is a super easy smoked beef on weck recipe. I did this cook on a Weber 22.5'' grill with the smokenator. It was so good I am planning on doing it again very soon. Beef on Weck is a variation of a french dip...but better! I hope you give this one a try! Season eye of round roast with salt and pepper or your favorite beef rub. Add drip pan with water and beef stock to a preheated 225ish degree grill. Grill indirect at 225 for about 2 hours or until the internal temp is 130 degrees. Wrap and let rest heat grill to a searing temperature. Remove drip pain and boil liquids until reduced by 75%. Sear all sides of the roast while jus is reducing. Season jus if necessary. Here is the first time I fired up my newly finished Mini WSM. Went for about 5 hours strong at 225. I removed the lid once at 3 hours and it took about 10 minutes to come back to temp. At the 5 hour mark I had to knock the ash off the coals. The temp came back up really quickly and leveled at 230 until I shut it down at 7 hours. When it was running at 230 the top of the dome was about 260. Makes a nice creamy jalapeno poppers with 3 jalapeno flavors. I hope you give this one a try! This ones for you Keith! Throw this marinade on some bone in chicken for about 5 hours for some really good chicken! This recipe does about 10lbs of legs/thighs. I hope you give this one a try! Blend all ingredients and pour over chicken. Marinate about 5 hours and grill over indirect heat for about an hour. Add some smoke wood to the lump charcoal. Texas Brisket - Easiest Brisket Recipe Ever! Total Cook for this brisket was about 9 hours. Salt, pepper, beef and low and slow smoke....what else could you want. I hope you give this easy brisket recipe a try. Mix salt and pepper. 60% Salt and 40% Pepper. Sprinkle all over the brisket. Stabilize grill temperature at 250. Cook for about an hour a pound. Wrap if the skin is getting dark. Cook until a toothpick slides right in. First cook filmed completely outside...so its a little rough. Enjoy this awesome apple dessert on the grill! The first burger on the Kettle Q. A double Cheeseburger with 2 jalapenos on top. Not a quick recipe but it is so worth it. Try this very simple pulled pork sandwich. Depending on the size of the pork shoulder....expect an 9-14 hour cook. Cover Pork Shoulder with Memphis Dust, wrap and let sit in the fridge overnight. Add some more rub right before you put it on the pit. Cook at 225-275 on a Weber Kettle grill for about 1.5-2hr a lb. or until the internal temp reaches 195-203 degrees Fahrenheit. Wrap with foil and let rest for 1-2 hours - it is now ready to pull. This is a super easy recipe for beer braised sausages with peppers and onions. This is a really easy recipe for some maple bacon. 2 ingredients....need I say more. Very easy and simple smoked chicken recipe. Hope you give this one a try. This is the easiest way to make some pastrami that is way better then what you can buy at a deli counter. Slice it thin and throw it on some rye bread with spicy mustard and you have a classic sandwich. I went a little light on the pepper...this could be easily doubled. Takes about five days....but there is really nothing to it. This is one of the best mac and cheeses ever! I hope you give this Smoked Mac and Cheese a try. Quick and easy roasted green salsa. I hope you give it a try! Nothing like making salsa in the snow! A quick and easy homemade salsa verde. This was great on some chicken tacos! Roast the chilis, garlic and tomatillos. Remove the skin and seeds from the poblanos - remove just the skins of the serrano and the jalapeno to keep it spicey. I you want the salsa verde less spicey you can remove those seeds as well. Dump everything into a blender, including and accumulated juices and pulse for about 20-30 seconds. 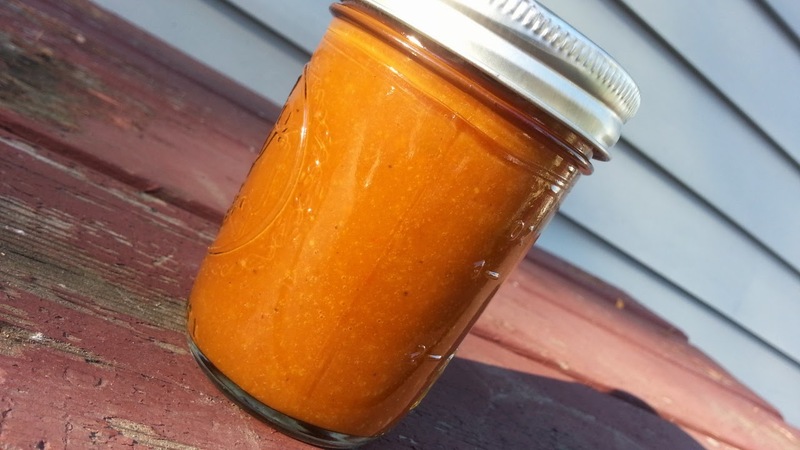 This is a quick and easy bbq sauce. The blackberries and pepper jelly give it a flavor unlike store bought. I hope you give this one a try. This is my new favorite pulled pork sandwich. I recommend you give this one a try. This is a perfect sandwich for leftover pulled pork. Here is one of my all time favorite game day snacks! These chicken chunks are like candy. 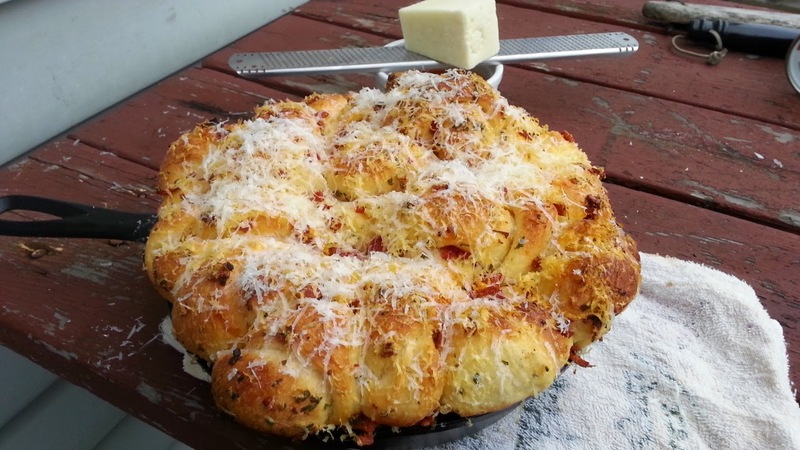 Serve on some nice Italian bread and nothing else is needed. How many other sandwiches are this simple? This is a dish from around Binghamton / Endicott New York. This is a must try! Marinade also works well on pork. Mix all ingredients and marinade for 24 hours. 24 hour marinade is key in this recipe. 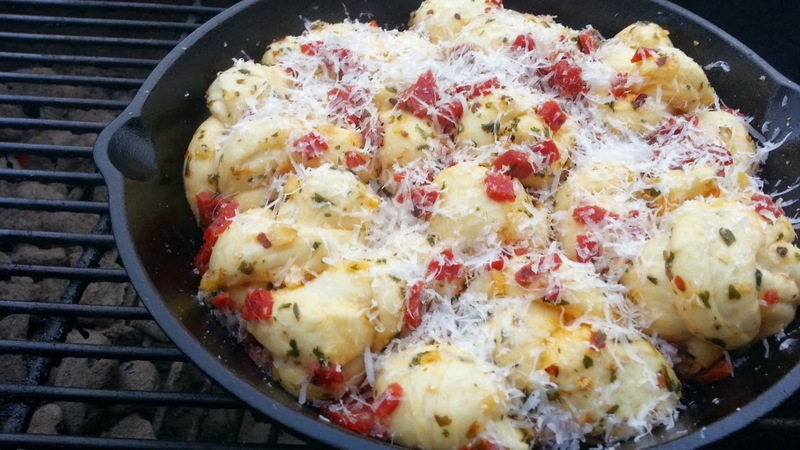 Here is a great recipe to use up some of those fresh peppers. I hope you give this one a try! This is an awesome shredded beef sandwich. Give this one a try. Make sure the stromboli fits in the pan first! Homemade pickled jalapenos made with just salt/sugar/water and white vinegar. 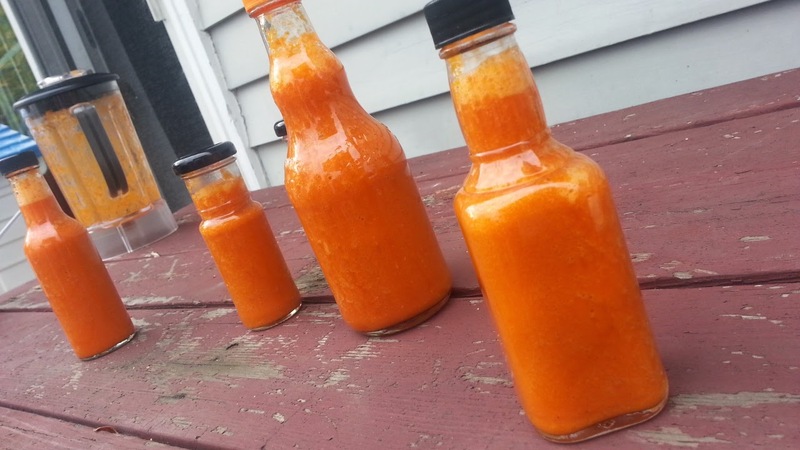 A simple way to make hot sauce with homegrown peppers. The fermentation of this sauce really gives it an amazing flavor. I made a similar batch to this this year and it really has such a beautiful color. It is superb on on some grill/smoked chicken wings! Here is a great wing recipe! Mix salt in water and pour over peppers. Cover and let ferment for about a week. Blend mixture. Bring to boil and reduce by 50%. Blend again. Pulled Pork with my homemade Cuban Rub! 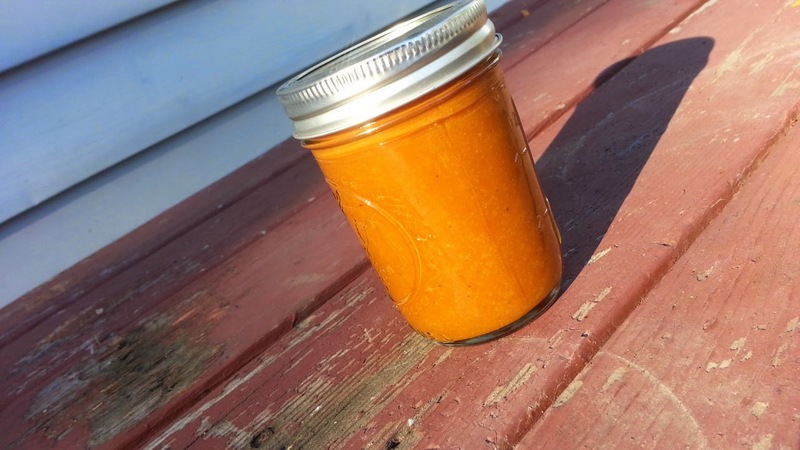 Here is a quick and easy mojo sauce recipe for when you cannot find sour orange juice.